Published on Thursday, January 10, 2013. 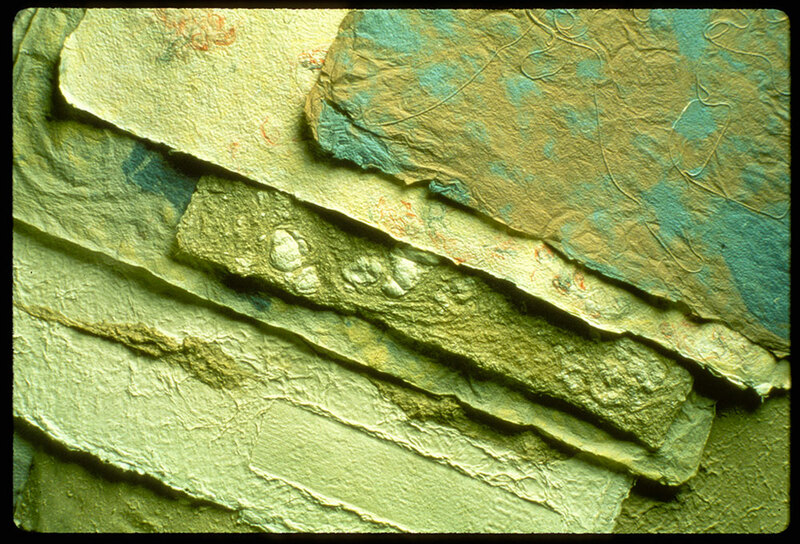 The handmade paper created by the artist Douglass Morse Howell has a wondrous variation of weight, color, texture, and form. Made from materials including flax, hemp, linen, and blue jeans found near his home in Long Island, not one piece seems to resemble another. At least not based on the evidence we have here at the ACC Library in the many samples of Mr. Howell's papers and images in our files for the Douglass Morse Howell Retrospective held at the American Craft Museum in New York City on May 20 - September 26, 1982. 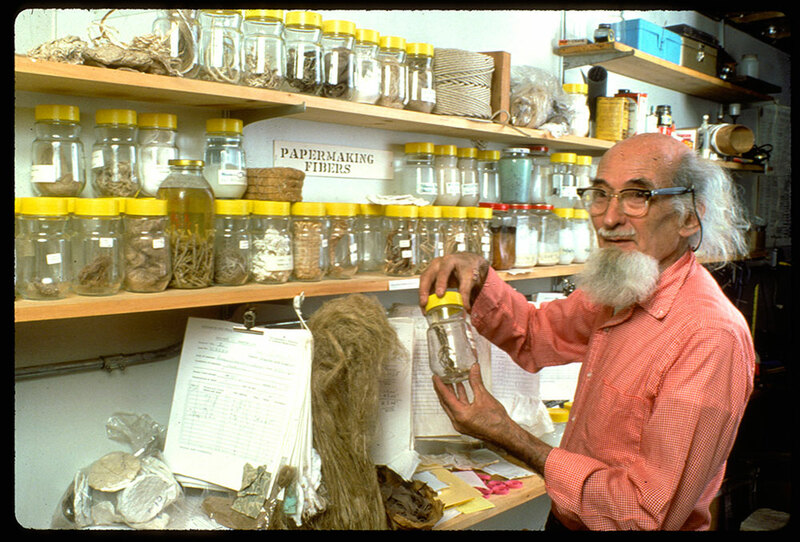 Howell, an ACC Gold Medalist who died in 1994, is largely credited with the resurrection of hand papermaking in America. While serving in WWII, Howell learned to make paper by hand in France. When he returned to New York City in 1946, he used his technical curiosity and newfound passion for making paper to build his first pulp beater, a machine used to turn fibers into a gelatinous substance that could be molded into paper forms. He experimented with many iterations of papermaking mechanisms over the years, and shared his creations with papermakers around the world. Mr. Howell's approach to papermaking was considered unique because he focused on the paper as an aesthetic object rather than a mere printing surface. Over 40 years he used his various machines, tools, and techniques to create paper for many printmakers and artists including Lee Krasner, Jasper Johns, and Jackson Pollock. Howell's paper objects can be found in museum collections, including the Metropolitan Museum of Art, the New York Public Library, and the Ashmolean Museum in Oxford, England. His legacy lives on through the many students he taught in his own studio, several of whom went on to establish departments of papermaking in major art schools and universities in North America. For more information on the remarkable life of Douglass Morse Howell, check out the chronology in the 1982 exhibition catalog.